Good location with amazing views, parking place for car, plenty of room for five people and nice looking apartment! We really enjoyed our time! The location was good. Easy access to the metro and train station. Very easy to access the marina walk. Location. The place was well furnished and super cosy! 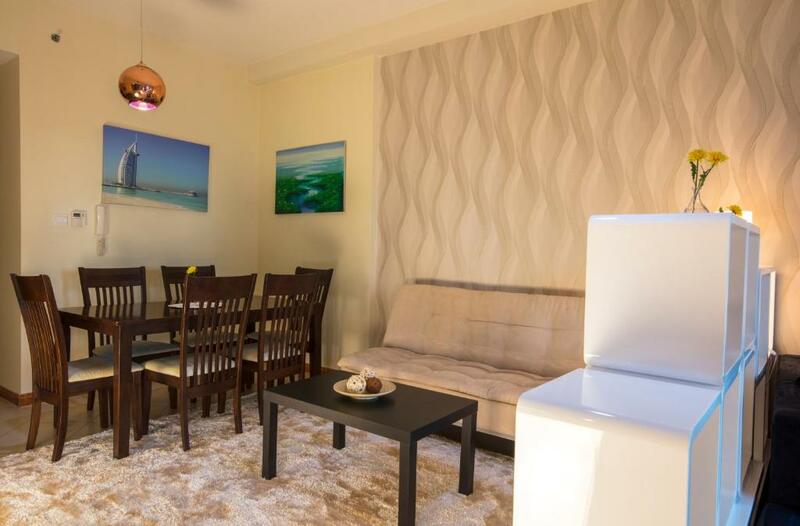 Very good location with plenty of shops and food facilities all around the apartment, specious and tidy apartment with a good balcony and two well sized rooms. I perfect location for sampling all that is on offer around the Marina. 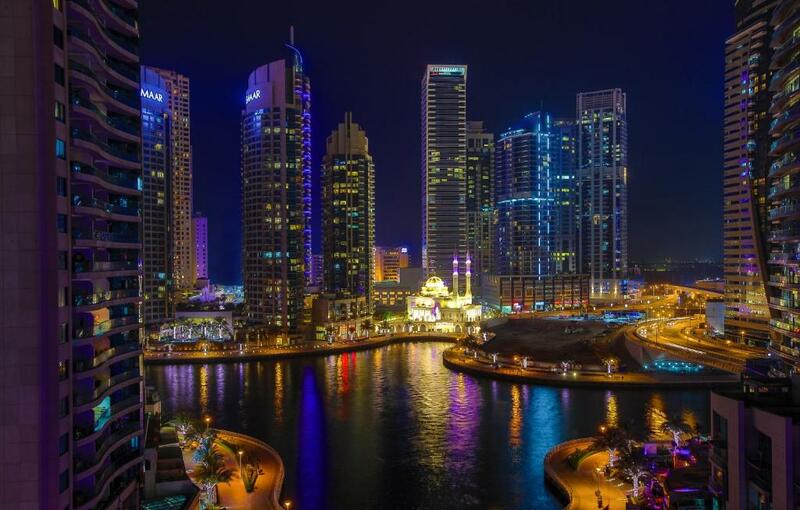 Easy to find, which isn't always the same in Dubai and a very pleasant place to spend a couple of hours on the balcony overlooking the marina with friends. The bed was really comfy and the size was amazing. Great location and friendly staff. Nous avons tout aimer : le séjour, les équipements, l’appartement, la vue. On vous le conseille fortement. Nous avons aimé: La situation géographique à 200 mètres du métro et du tram. La vue extraordinaire sur la marina et la magnifique mosquée. La piscine à l'ombre jusquà midi et dés 16h00 ( en juillet/août`c'est très appréciable). Les restaurants en bas de l'immeuble ( surtout l'iranien excellent et pas cher). L'amabilité et la disponibilité des 2 personnes à l'accueil ( nous avons pu laisser nos 4 valises de 11h00 à 22h30 le jour de notre départ dans le hall sous leu surveillance). Świetne położenie mieszkania,blisko stacji metra i przystanku tramwajowego,samo mieszkanie duże,dwie łazienki,po za szumem aut cicho,urządzenia domowe sprawne,łóżka wygodne.Kontakt z właścicielką odpowiedni-w domu i na mejla wysłane wszystkie potrzebne informacje o mieszkaniu i okolicy.Osobiście polecam zakupy spożywcze w niedalekim Carrfurze-niskie ceny,duży wybór. 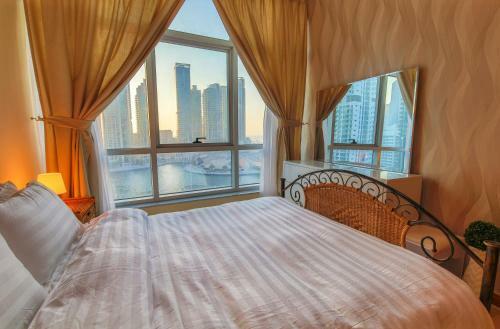 Lock in a great price for Two Bedroom Apartment with Sea View - Marina Diamond 4 – rated 8 by recent guests! 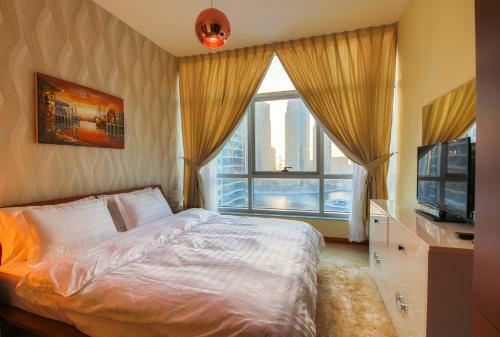 In the Dubai Marina district of Dubai, close to The Walk at JBR, Two Bedroom Apartment with Sea View - Marina Diamond 4 features free WiFi and a washing machine. This property is 5 miles from Gurunanak Darbar Sikh Temple. Leading onto a balcony, the air-conditioned apartment consists of 2 bedrooms. The apartment also comes with a bathroom. At the apartment guests are welcome to use a fitness room. 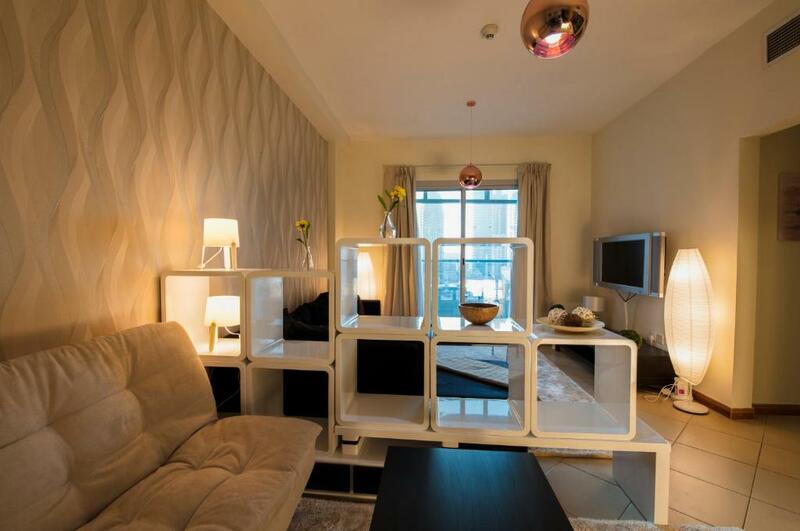 Two Bedroom Apartment with Sea View has an outdoor swimming pool. Mall of the Emirates is 6 miles from the accommodation, while Burj Al Arab Tower is 7 miles away. Dubai Airport is 20 miles from the property. When would you like to stay at Two Bedroom Apartment with Sea View - Marina Diamond 4? 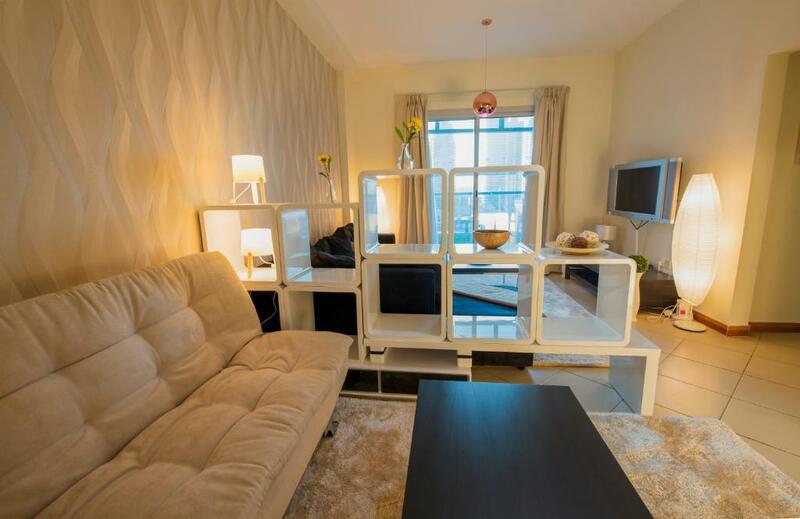 This apartment has a seating area, air conditioning and electric kettle. 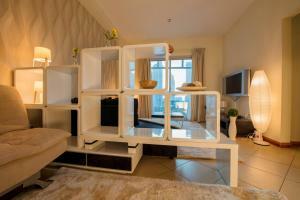 House Rules Two Bedroom Apartment with Sea View - Marina Diamond 4 takes special requests – add in the next step! 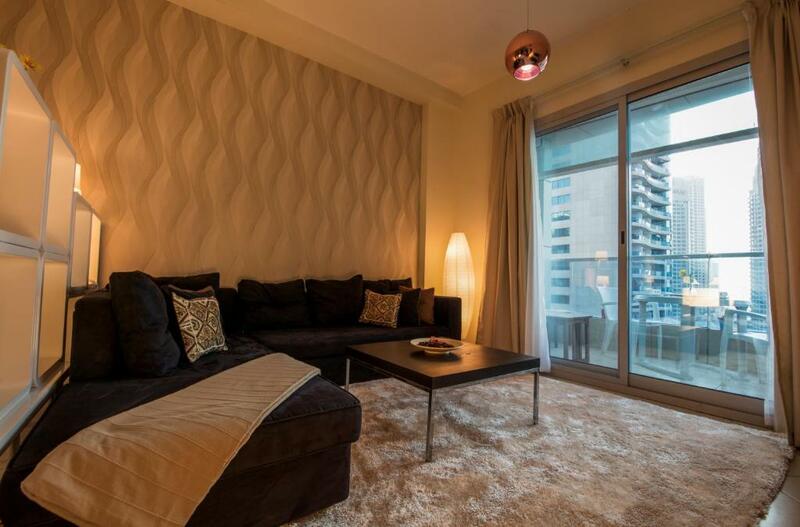 Two Bedroom Apartment with Sea View - Marina Diamond 4 accepts these cards and reserves the right to temporarily hold an amount prior to arrival. Property is very tired and needs attention in particular the bathrooms. 5am wake up call from Mosque was tiring! Some small things were missing like dish washing brush/sponge and wipes. The general state of the bathrooms, duvets where to small in the master bedroom. I asked for additional bedding which was declined. This apartment would sleep 5 comfortably not 7. All the T.V. channels where either in Arabic or where not subscribed to. The TV'S In the bedroom our useless unless your watching DVDs! No bath kit or dental kits. Price too high. The plates in the kitchen were a bit dirty. Couple insects in the kitchen but this could be a more common thing than we are aware of. Only other thing is there was only one key and access card so as a party of four wasn’t always convenient. Everything was perfectly fine and even more! Good view, good location and no disturbances. No disturbance from propert admins/ manager.